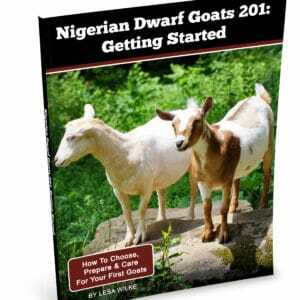 increasingly popular because goat owners don’t want to deal with disbudding goats (see how that’s done HERE), so I thought it was an excellent question. 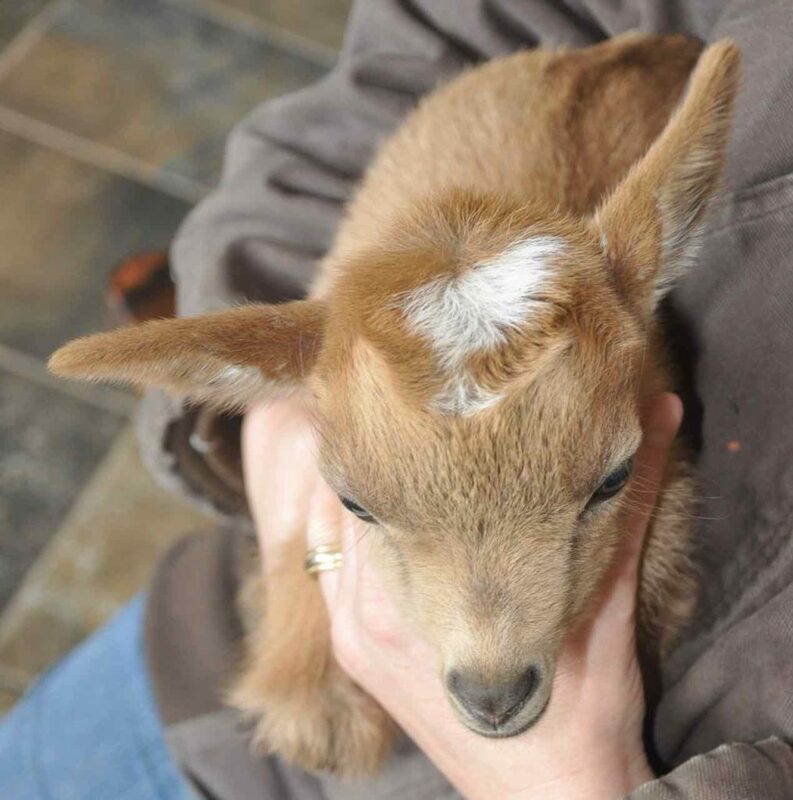 I remember when our first “potentially” polled goats were born and I wondered the very same thing – just how do I tell if they are horned or polled? 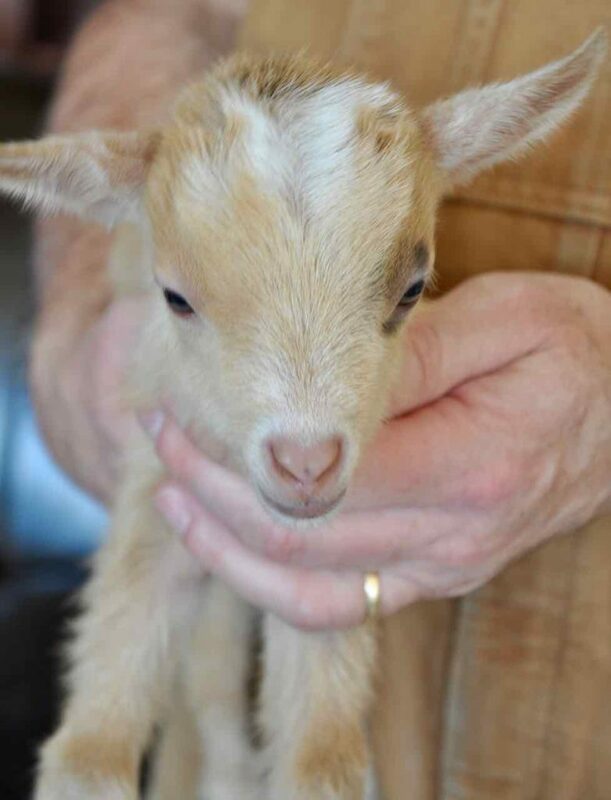 The thing is, you don’t want to disbud a naturally polled goat kid but you also don’t want to wait too long to disbud a horned kid. The longer you wait with a horned kid, the harder disbudding gets and the more likely that they will grow scurs down the road. 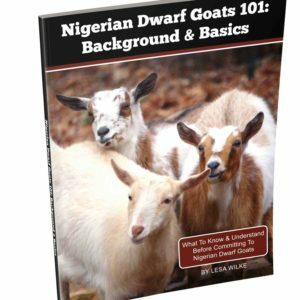 Although there are exceptions to every rule, if you follow the guidelines below you can usually tell if a goat is polled on the first day. First of all, at least one parent must be polled. 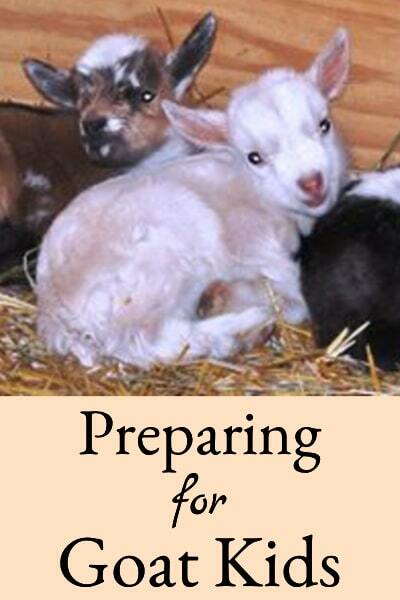 Each goat kid receives a horned or polled gene from each parent. If a kid receives a polled gene from one parent, that kid will appear polled because the polled gene is dominant. 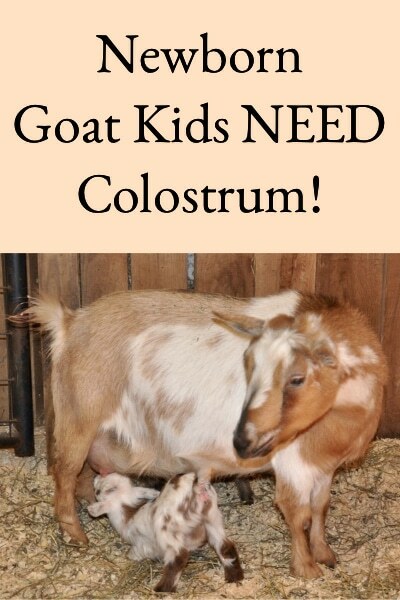 If a parent is horned, it cannot pass on a polled gene to kids. Secondly, the head shape is more “egg-shaped” and the hairdo should be pointy down with no swirl over the hornbud area. Let’s look at that a lot more closely. This is Bramblestone Gold Dust and he is polled. His head shape is “eggy” and his hairdo points down. There are no swirls where his horn buds should be. Horned kids usually have hair swirls located where their horns are going to break through the surface of the skull. 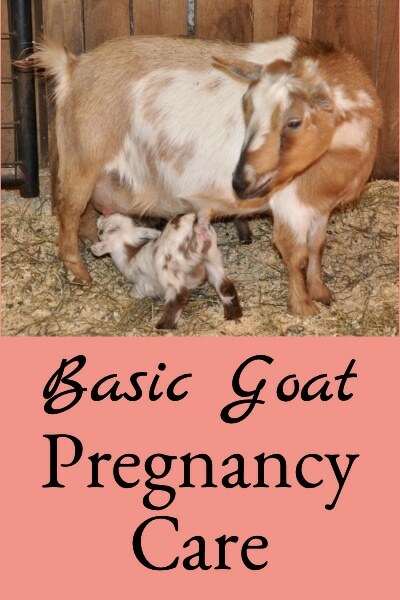 Especially for the bucks, you can often feel the horn buds under the swirls even when they’re born. 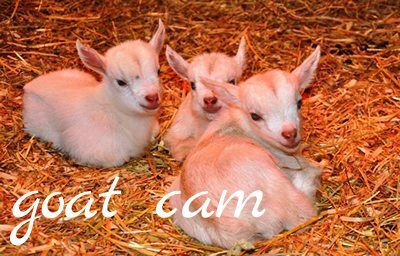 Their heads are usually shaped differently too – the polled kids have heads that are more rounded or “egg” shaped than their horned siblings. So, the egg-shaped upper head and lack of hair swirls are a good indicator that you’ve got a polled kid. 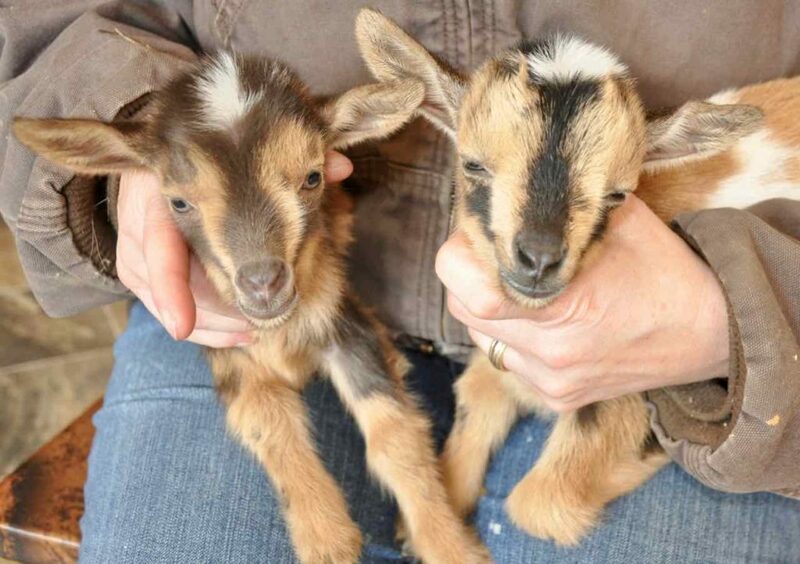 This is Gold Dust with his brother Bramblestone Copper. Copper is horned, see how he has swirls where his horn buds should be? And his head is not as “egg-shaped”? A couple more examples. 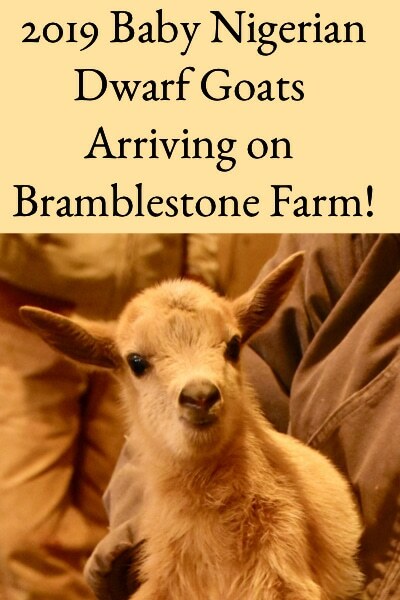 Bramblestone Tiger Tea is polled. Really “eggy” head and no swirls. His sister Bramblestone Peach Tea is horned. There are little swirls down there. The final example, another polled sister on the left, horned brother on the right. 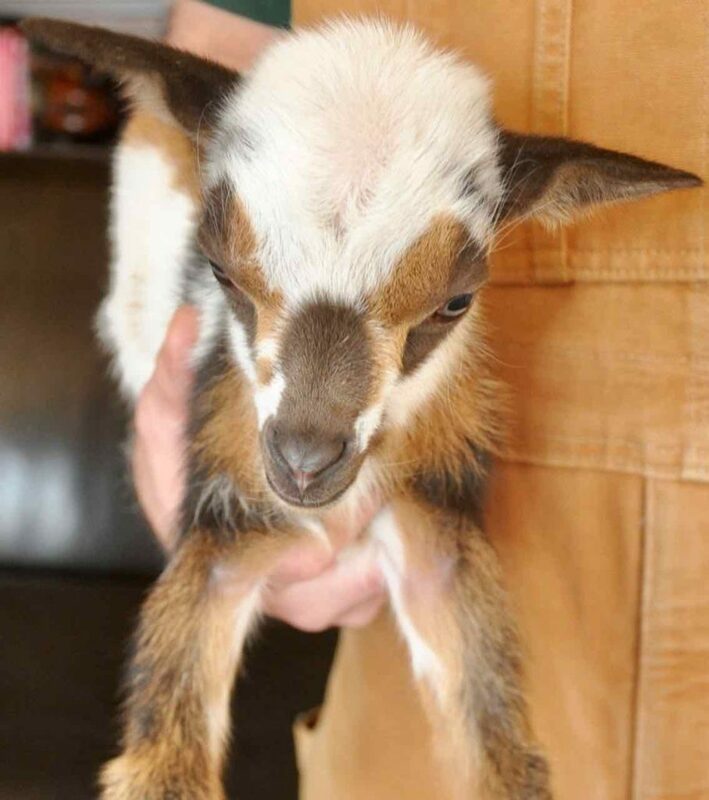 There have been a few exceptions reported on this rule – goats with no swirls that later grew horns. That has never happened to us, but we keep checking heads to make sure no horns show up! Finally, the skin should slide over the horn bud area when pushed with the finger (this is the second confirming test). 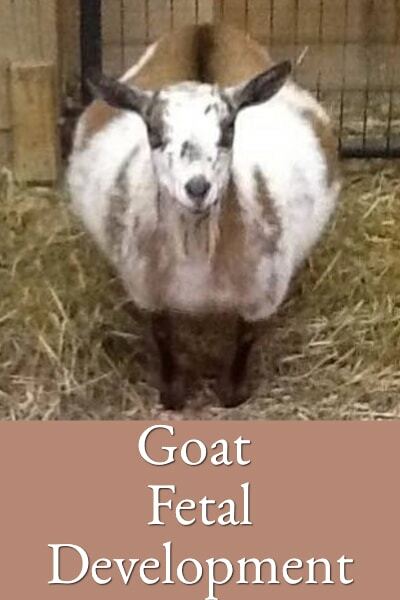 The skin over the horn bud area of a polled goat should move around freely, it should not be stuck to anything. If it is, then that’s usually a horn. 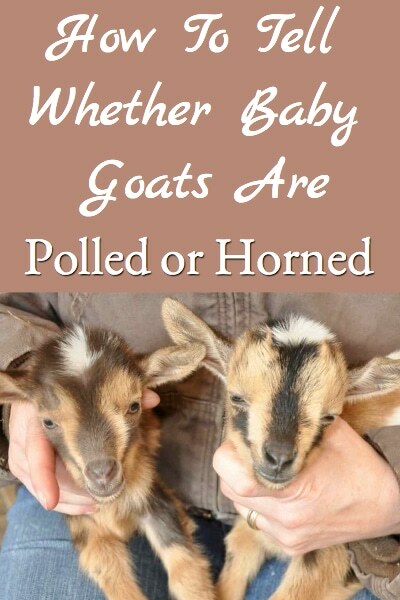 We’ve been using these rules to determine whether goat kids are horned or polled for quite a few years now and it’s always been reliable for us. I’ve heard stories about variations on how the polled gene presents itself, but so far we’ve never seen any variations. 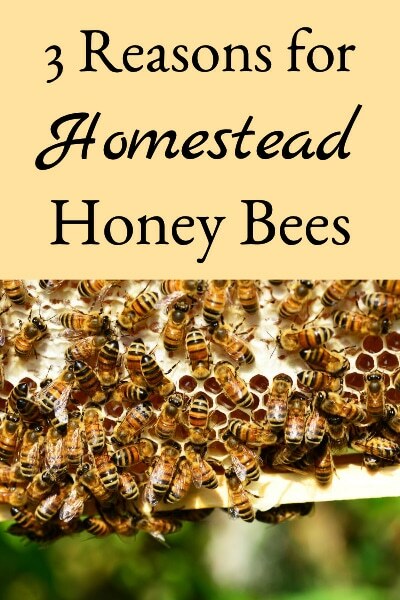 I’ll update this post if we ever do! There is a YouTube video that describes this process HERE.